NEW 2019 Genesis Supreme 2213V Vortex . There 6 feet of cargo room to the first cabinet and 13’ to the first cabinet on the other side! 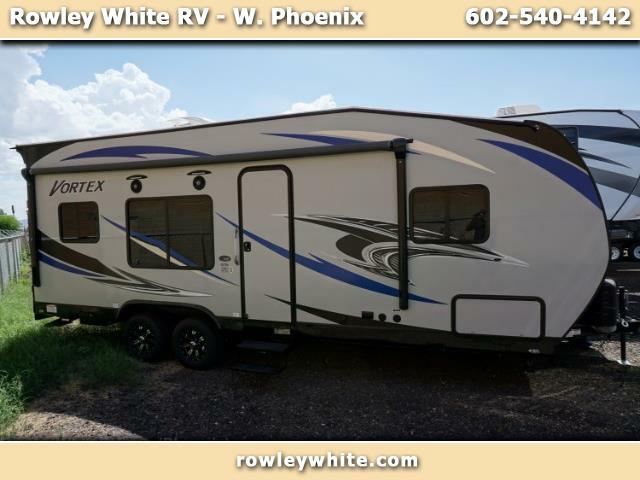 Rowley White RV carries several different brands of travel trailers and toyhaulers giving you more to choose from, including this Genesis Supreme Vortex. This trailer has everything for the weekend adventure.